God Is Not The Maker Of conditional Nature. God Is The Unconditional Nature (or Most Prior Condition) Of conditional Nature. God Is Not Merely The Cause Of all causes and all effects. God Is The Source and The Source Condition Of all causes and all effects. . . . God Is Not Outside You. God Is Not Within You. God Is You. . . . Yes, God Is The Deep Of the world, and The Heart Of every Would-Be "I". Every tradition � whether religious, spiritual, philosophical, or scientific � is associated with a particular view on the nature of reality. Christianity � Christianity's view on the nature of reality includes the material universe, "heaven", "hell", and a God Who is the Creator of all that. Scientism � The common view of scientists is materialistic: reality is comprised of the material universe only, and the presumption is that everything which other viewpoints suggest might not be material (consciousness, spirit, etc.) will eventually be explainable in purely material terms. Just so, Adidam is associated with a particular view on the nature of Reality, which we summarize in this section. This view is not an intellectual synthesis of previous traditions and viewpoints. Instead, it is the view of Avatar Adi Da Samraj as Fully Awakened Spiritual Master, describing Reality directly from the Divine Standpoint. We'll provide just enough basics to allow us to talk about Reality, then about Spiritual Realization in the context of that Reality, and then about the nature of a practice for Spiritual Realization. The language and the ideas may be unfamiliar to you (it is strikingly different from the usual way we look at things), but there is nothing abstract about its potential impact on your life. It simply is the case that we can't fully talk about what our fullest potential and destiny is, unless we more fully understand who "we" are, and the nature of the Reality "in which" we exist. Keep in mind: what is being laid out here in words is a description for how to go beyond all human suffering, even the pain of mortality and death. What is being laid out here is a course for the Realization of your heart's most profound need: perfect unlimited Happiness. Reality is Subjective not objective � Reality is fundamentally Subjective in nature, not objective, as is suggested by the common, scientific materialistic view. God is Perfect Happiness � God, the Divine Consciousness, is Perfect Happiness. God as Source, not Creator � God is the Source of all of this, but not its Creator. Reality is a non-separate Unity � There is no inherent separation between God and human beings. The self-contraction � We are unaware of God right now only because of something we are unconsciously doing � an act of self-contraction � in every moment. Identification with the limited, mortal body-mind � Because of this separative act of self-contraction, we end up identifying with a limited, mortal body-mind, and suffer all the limitations of that restricted identity. Then we settle for self-fulfillment rather than Perfect Happiness � This mistaken identification leads us to presume our greatest potential is to make this body-mind feel better, and so that is how we tend to pass our lives, instead of finding out how to be restored to our original Divine Identity, and engaging the practice that brings about the real and eternal freedom of that restoration. The Fully Awakened Spiritual Master is the Way out of this illusion � Not because of any unfolding Divine Plan, but because of the inherent connection between God and beings, combined with Graceful circumstances that arise once in a rare while, the Divine appears in the human form of a Spiritual Master, who steadily transmits the Revelation of God to all human beings who find the Master, in a manner that is completely tangible to them. 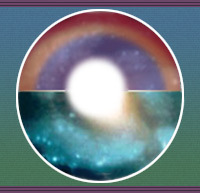 The Spiritual practice for Fully Awakening out of this illusion � Through a spiritual practice concentrated in contemplating the Divine Transmission of the Spiritual Master, the apparently separate being is led progressively but inexorably to the understanding and transcendence of the self-contraction, and the Awakening to the Divine Identity.